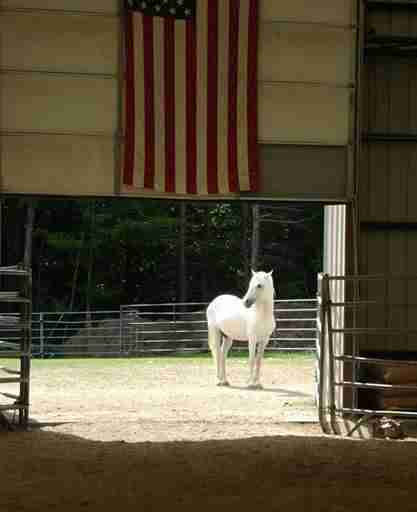 Teresa Paradis first laid eyes on Neptune, a white horse with a modest spattering of brown spots on his coat, during a rescue in October 2003. 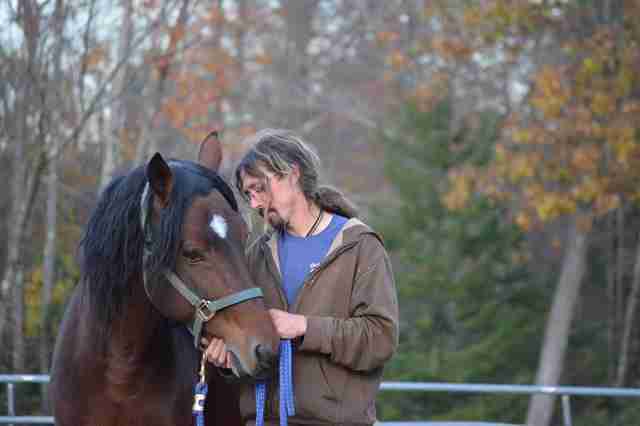 Paradis, founder of the Live and Let Live Farm Rescue in New Hampshire, was at the Southwick Farm in Northfield to rescue two horses who were boarding there whose owner decided to surrender them. 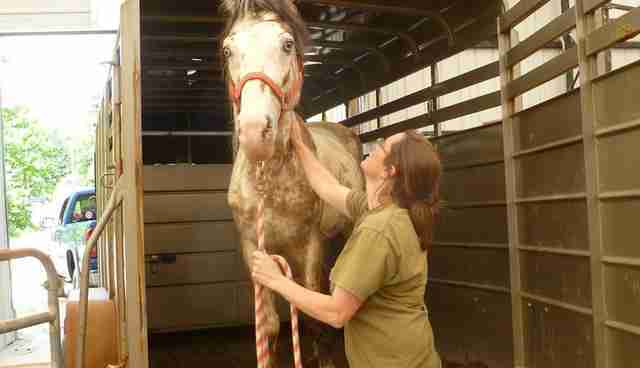 The conditions she found the horses living in were worse than she could have ever anticipated. "You know how people get carried away and you think they're exaggerating?" Paradis told The Dodo. "This was no exaggeration: I walked into that barn and within a few minutes, my lungs were burning from the urine and filth." Paradis said there was manure up to her knees and that the windows were covered in plastic instead of glass, making the barn as dark as a dungeon - a shocking discovery, given the beauty of the property outside. 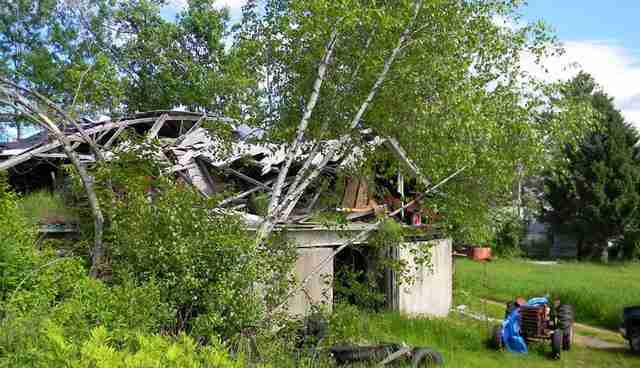 "That barn was a hellhole behind closed doors," Paradis said. 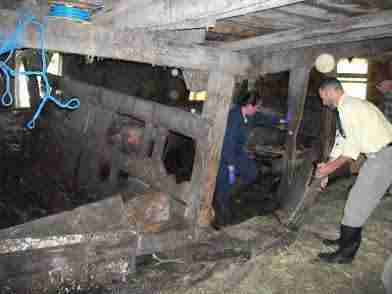 In addition to the filth, the barn was practically collapsing in on itself. "Some of the [stall] enclosures were actually nailed-up boards," she said. On that day in 2003, Paradis was only allowed to take the two original horses away from the horrifying conditions. But she fell in love with one she couldn't take home just yet: Neptune. He stood in a small, boarded-up stall and looked at Paradis with his big, gorgeous blue eyes. "I've been praying and fighting ever since to get him out of there," Paradis said. 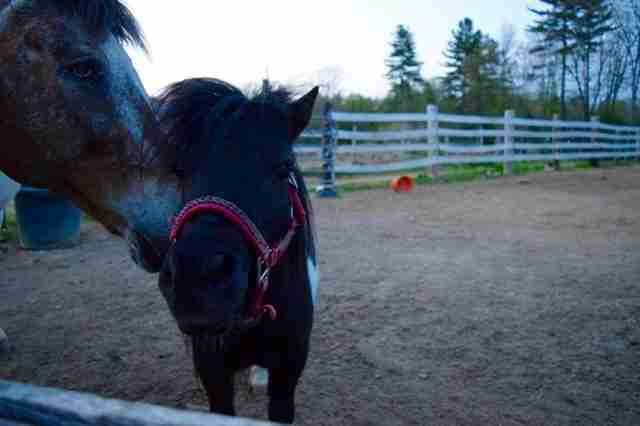 It wasn't until June 6, 2014, that she was was finally able to rescue Neptune, along with four other horses who, up until that day, only knew life inside of that barn. According to Paradis, attempts to bring abuse and neglect charges against the barn's elderly owner, Bert Southwick, in the past were made but never stuck because he was a beloved town figure. 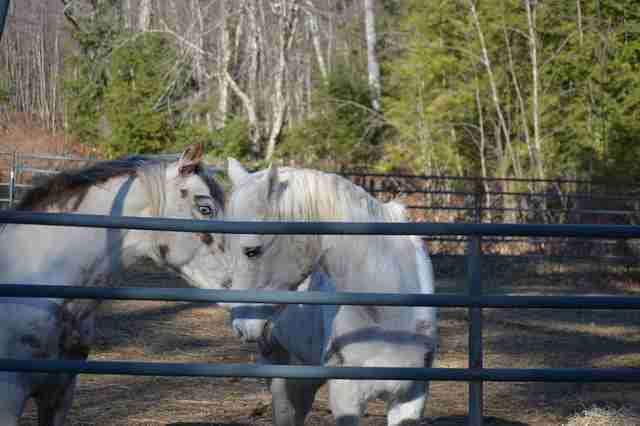 However, Southwick did not own the horses, who were permanent boarders at the farm. 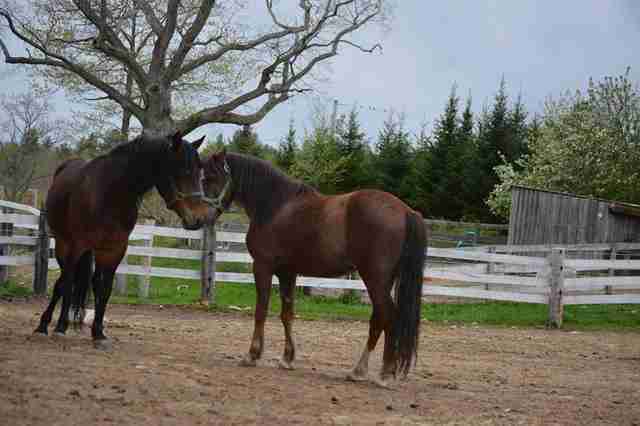 Neptune, Patton and Churchill, all male horses, belonged to a woman named Joanie Osgood. Rosie the Riveter, a female, and Normandy, another male, belonged to a man named Harold Kelley. Ultimately, the owners were the ones the law came after, finally making the rescue possible. Paradis said that on the day the horses were saved, some were absolutely terrified of stepping out of the stalls that were their home for more than a decade of their sad, sedentary lives. "Normandy was in the worse shape mentally," Paradis said, adding that it took months before he'd allow people to touch him without attacking out of fear. Patton was riddled with internal parasites. 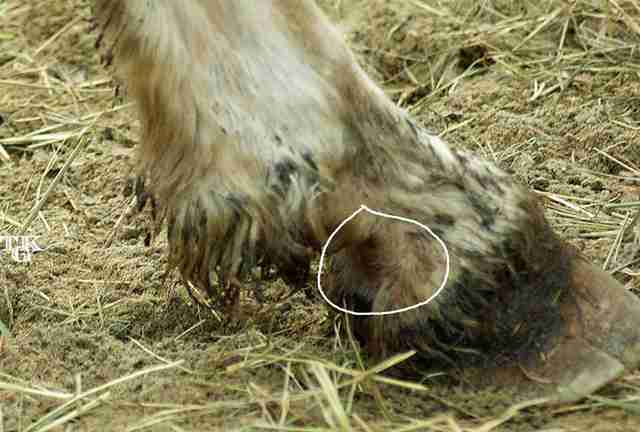 Layers of dirt had built up underneath his hooves and left him in pain. 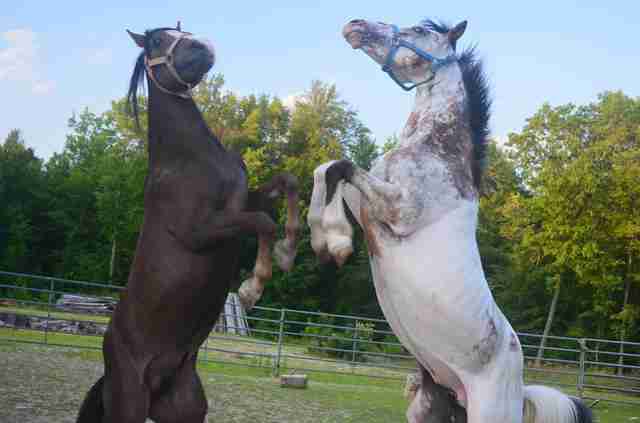 All of the horses were covered with a bad-smelling, oil-like film of dirt, and had never been given the opportunity to socialize with other horses. They didn't know how to deal with having so much sunlight and space finally available to them. 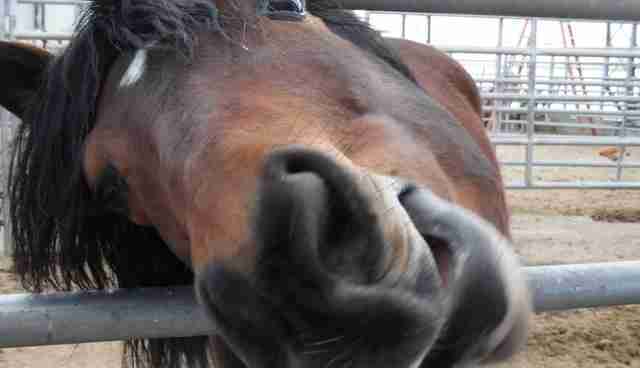 The horses had a long journey of healing ahead of them, but Paradis was up for the challenge. 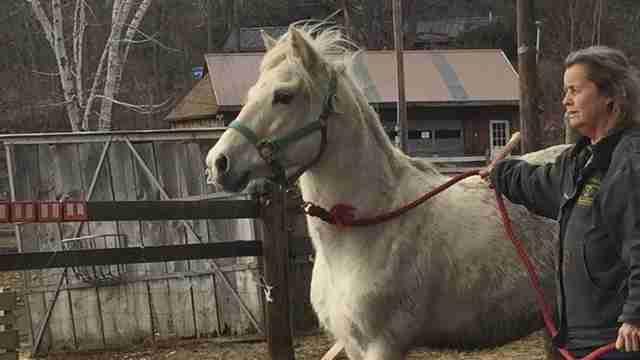 As for the horses' previous owners, who allowed them to suffer in the first place, Osgood was recently found guilty for three counts of animal abuse and will be sentenced in June, local outlet Valley News reported. Kelley pleaded guilty last year. 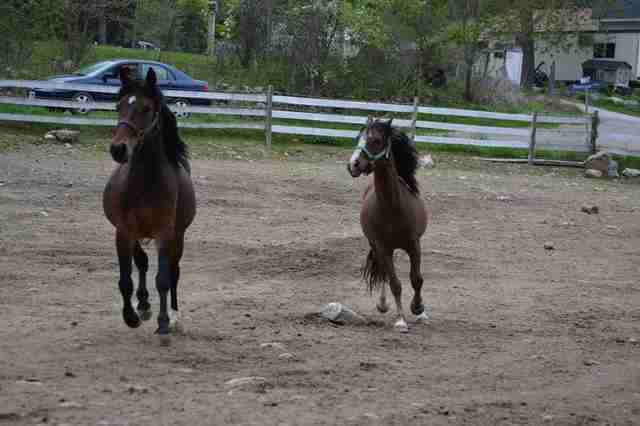 With time and patience, all five horses made great strides and are finally enjoying the luxury of being able to roam freely. Two weeks ago, Churchill allowed someone to sit on him for the very first time, Paradis said. These days, Neptune, whom Paradis describes as a "gentle, old soul," loves to take walks down to the water. "Neptune stands there like he just found heaven," Paradis said. "He loves it so much." Want to help Live and Let Live Farm Rescue continue doing good work for animals in need? Consider making a donation here.